Italy’s Monterosa region (pictured top this morning), France’s Auron (pictured below) and Switzerland’s Bellwald have all reported a metre of fresh snow. As a result of all the snow the avalanche danger for off-piste skiers has risen to very high (level 4 on the scale to 5) in many areas and some resorts are closed or only partially open at present whilst access is dug out and slopes made safe. 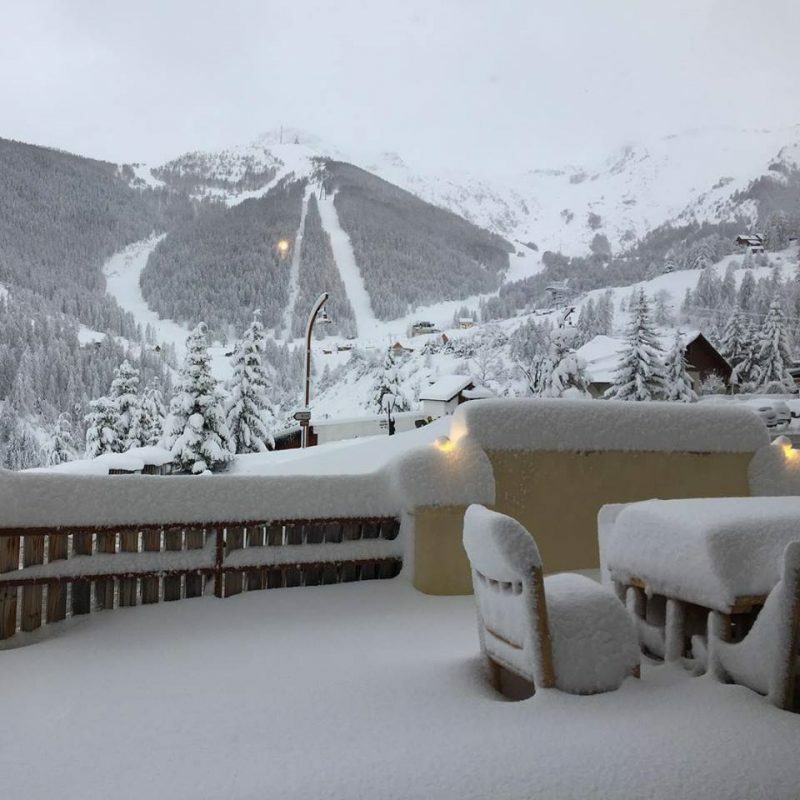 Many other ski areas have had at least 30cm (a foot) of snow with a sizable number including Andermatt, Cervinia, Les 2 Alpes, Serre Chevalier and Verbier reporting 60cm (two feet) or more in the past 24 hours. It’s snowing hard in the Dolomites too, Arabba has reported 55cm so far in the past 24 hours. Engelberg in Switzerland has reported 40cm of fresh snow so far and increased its already deepest base in the world stat from 5.3 to 5.7 metres. It is unusual for the deepest base to keep continuing into April, usually it is starting to diminish due to spring thawing by then. Our latest video snow report comes from Laax, Switzerland today, where the snow has not stopped falling since last night and up to 110cm is anticipated to have fallen by tomorrow morning. The heavy snowfall is expected to continue through Thursday and Friday.